The Giants might have questionable depth in some areas, but catcher certainly isn’t one of them. The club reportedly signed another catcher on Monday morning, claiming the Rockies’ Tom Murphy off waivers according to Jon Heyman. Murphy, 27, is out of minor-league options, meaning if he doesn’t make the 25-man roster, he could decline being sent down to Triple-A Sacramento. Bruce Bochy said on Sunday that Erik Kratz, who the Giants acquired in a trade with the Brewers that same day, would be the backup catcher to Buster Posey, who is entering the season healthy. Aramis Garcia is also expected to have an outside chance of making the opening day roster. It’s possible that the Giants are hoping Murphy clears waivers and can be designated to Triple-A, giving the Giants more organizational depth at the position, which would keep Garcia in the mix for a 25-man roster spot. With Bochy reportedly leaning towards keeping 13 pitchers, having both Garcia and Kratz on the opening day roster would leave just one spot for Alen Hanson, Pablo Sandoval, and a fourth outfielder. Utility infielder Yangervis Solarte is also a lock to make the team. 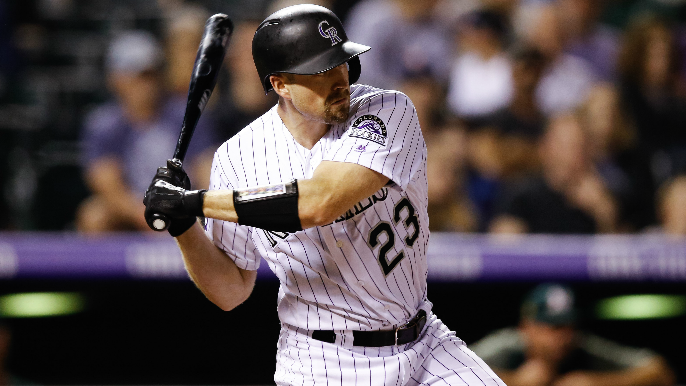 Murphy has played in 81 career major league games, all with the Rockies from 2015-18. He has a career slash line of .219/.271/.439. The Giants DFA’d right-handed pitcher Merandy Gonzalez to make room for Murphy according to Kerry Crowley.